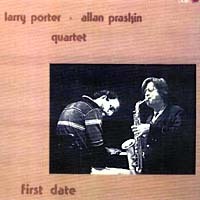 Larry Porter formed the quartet with Allan Praskin in 1982. 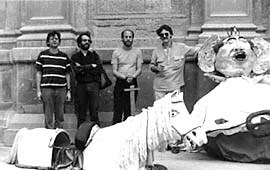 Undergoing a number of transformations, it stayed together until 1993. 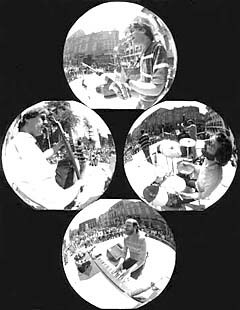 In those eleven years, the group covered a huge amount of ground with a constantly evolving repertoire. Both musicians, being prolific composers, contributed an incredible palette of original compositions and explored literally hundreds of lesser-known standards. There was even a period of songwriting and vocal excursions by Porter. Their performances were marked by an intuitive communication and an almost childlike free-ness and fascination. 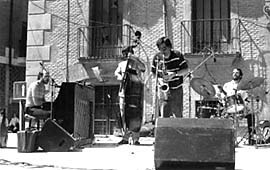 First Date was recorded when both Larry and drummer Aldo Caviglia were living in Barcelona, and the band was touring in Spain. Rocky Knauer is from Vancouver, Canada and was one of the first bass players Larry played with in Germany in the 70s. llenando el aire con su vida? juegan en la orilla de la vida? el corazón y el alma? lo que el mensaje de la música les dice? y el mundo no es para los soñadores. de escuchar lo que te dice. Todos los temas, excepto el indicado, compuestos por Larry Porter. "Larry Porter, Allan Praskin & Co. - a quartet, which swung, lashed, enchanted and created an atmosphere, which brought a storm of enthusiasm from the audience." "Larry Porter always summons up, explosively and vehemently, his entire skill and improvisational virtuosity, tries out the astonishing and plays simply breathtaking." "Praskin made clear how personal a musician's playing style can be. Sometimes in a whisper, then with a burst of air, he chased phrases through his horn, short themes flaring up like lightning, and blew with a fervor, which sets him apart from the rest of the field."